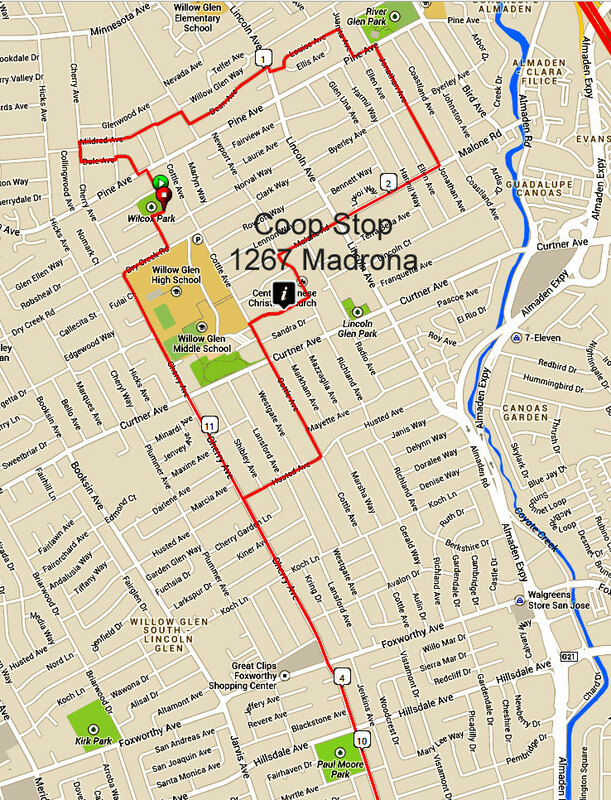 This flat, 11 mile ride includes 3 coops in the Willow Glen and Cambrian areas of San Jose. It starts at Wilcox Park (Wilcox Ave, San Jose). Most of the ride is on quieter residential streets but some limited busier roads were required in Cambrian. We recommend you start the tour anywhere on the tour to prevent parking concentration at Wilcox park. Click on each of the maps (2) below and print each one individually with your browser. They are also viewable on your smart phone. 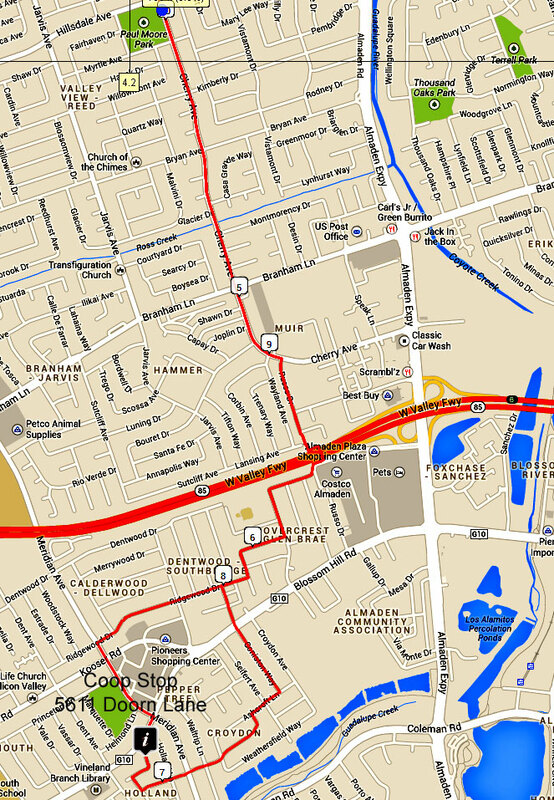 Cue Sheets and RideWithGPS on-line maps for this tour are listed below the maps.